Brian Frederick's 1932 Ford 3-Window Coupe of Rockville, Connecticut. Brian is a founding member of the Ty-Rods of Rockville car club. John Bozio's 1939 Buick Century Convertible of East Hartford, Connecticut. 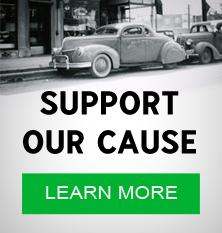 The Buick was John's first car, and he bought it from his cousin in 1951. It was already mildly customized when he got it, but it didn't take long before John restyled it further. Nick Dunkavich's 1940 Hupmobile roadster of Meriden, Connecticut. Nick's Hupmobile was restyled in the early 1950s. Jim and George Bernardo's 1948 GMC Pickup of Milford, Connecticut. Jim and George ran Bernardo Auto Body in Milford, and the truck acted as rolling advertisement and parts hauler for the shop. The build was completed around 1958 - 1959. Ronald Asal's 1949 Chevrolet convertible of New Britain, Connecticut was restyled around 1956-1958. James Pagliarulo's 1949 Ford Convertible, of Hartford, Connecticut. Mat Porcello's 1952 Mercury of Thompsonville, Connecticut. John Bozio's 1953 Buick Roadmaster of East Hartford, Connecticut was restyled between 1956 and 1957. Michael Malamphy's 1953 Plymouth Convertible, The Golden Aztec, of Ansonia, Connecticut was restyled around 1958. Phil Rapuano's 1954 Ford of Hamden, Connecticut. Phil's Ford was restyled by Bernardo Auto Body. Richard Piscatelli's 1954 Mercury of West Haven, Connecticut. Richard's Merc was restyled by Bernardo Auto Body circia 1959-1960. Barry Atkins' 1955 Chevrolet of Columbia, Connecticut. The car was supposedly restyled in 1958, but the original owner and builder are unknown. Barry bought the old custom from Red McCormick of East Hartford, Connecticut in the early 1980s. He restored and restyled it further before he sold it in 1984. Gary Broccoli's 1955 Mercury Monterey of West Haven, Connecticut. Gary's Mercury was restyled by Bernardo Auto Body. Peter Chiraluce's 1956 Ford Victoria of West Haven, Connecticut. Peter's Ford was restyled by Bernardo Auto Body. Roy Senior's 1956 Ford Victoria of West Haven, Connecticut was restyled around 1957-1958. Jim and George Bernardo's 1957 Plymouth convertible of Milford, Connecticut. Jim and George ran Bernardo Auto Body in Milford, and they were specialists in unique finishes such as Metalic, Candy, Pearl and Metalflake. Their Plymouth was completed early in 1961, making its debut at the 1961 Hartford Autorama. It featured a Silver Metalflake paint job, making it one of the first Metalflaked cars. Tom McHugh's 1957 Plymouth two door sedan of Norwalk, Connecticut. Tom's Plymouth was restyled by Bernardo Auto Body. in the late 1950s or the early 1960s. John Hychko's 1956 Studebaker Golden Hawk of Waterbury, Connecticut was restyled by John at his Valley Auto Body in 1959. Jim Avery's 1957 Chevrolet Corvette of Waterbury, Connecticut, as it appeared in 1960. Anglo Vacco's 1957 Ford convertible of Hamden, Connecticut was restyled around 1957-1958. Bob Croatti's 1959 Ford Thunderbird of Milford, Connecticut. Bob's Thunderbird was restyled by Bernardo Auto Body. The build was completed in 1961, and it made its debut at the 1961 Hartford Autorama. Red McCormick's 1950 Cadillac Roadster of East Hartford, Connecticut. The design of the car was inspired by the 1953 Cadillac LeMans concept car, and according to later owner Charles Marshall it was supposedly built in New Jersey in the 1960s. Joe sold the car circa 1985 - 1987. George Barris' 1963 Buick Riviera of Encino, California. 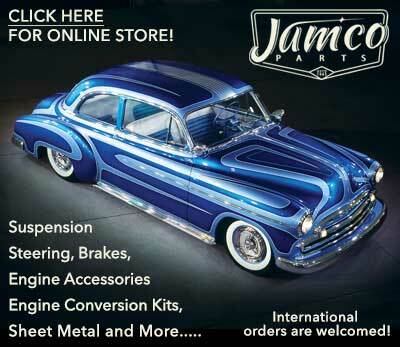 George, who owned and operated Barris Kustom City in North Hollywood, California, designed the car himself. Known as "The Villa Riviera Buick," the build was completed in 1963. In 1964 a white iteration of the car appeared in the popular Surf-movie "For Those Who Think Young." Bill Ryan of Seymour, Connecticut was the third owner of the car after George sold it in 1983. 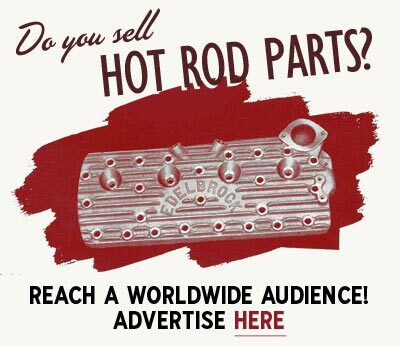 Subscribe to our newsletter and receive updates on Connecticut and other subjects featured on Kustomrama. 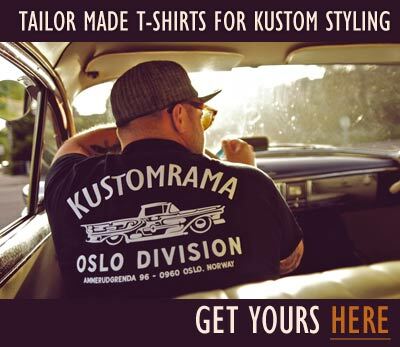 If you have additional information, photos, feedback or corrections about Connecticut, please get in touch with Kustomrama at: mail@kustomrama.com.